HUD's role it assumes in urban communities has profound ramifications throughout the economy, well beyond its specific mission in housing. 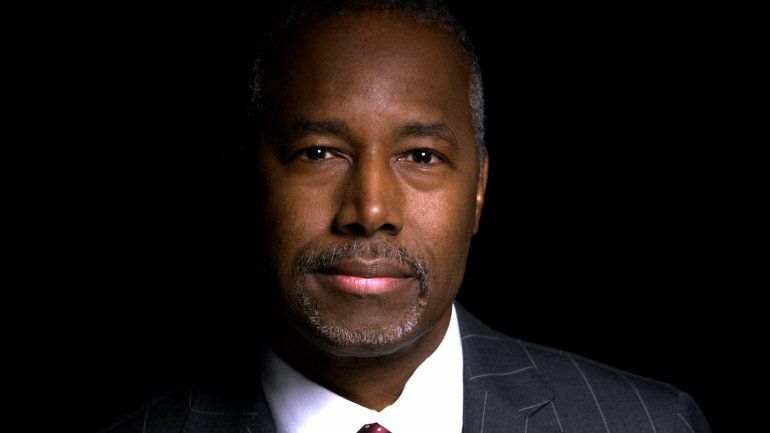 With the selection by President-elect Donald Trump of Dr. Ben Carson to be secretary of the Department of Housing and Urban Development, we have a brilliant man of principle cast to step in to lead a $50 billion federal department with nationwide impact. I recall when, 25 years ago, I had my daughter read Carson's first book, "Gifted Hands." Back then he wasn't very well-known outside of the black community. Now he is a national celebrity, and few have not heard his incredible story of rising from a Detroit ghetto to becoming head of pediatric neurosurgery at Johns Hopkins Hospital. But in addition to having been a brilliant neurosurgeon, Carson is also a deeply Christian man and an American patriot. This new job will surely require that he tap into all his talents and strengths — his great mind and analytical power, the single-minded focus of a surgeon, his desire to help the country he loves and, of course, his courage and faith. HUD, created in 1965, is another legacy of President Johnson's "leadership" in bringing unprecedented government activism and social engineering together to allegedly make our lives better. This was all part of the war on poverty and creating the "Great Society." But what it did was drive huge growth in government, too often to the detriment of the very people, and the very nation, it was created to help. HUD is unique in that the role it assumes in urban communities has profound ramifications throughout the economy, well beyond its specific mission in housing. HUD's efforts to expand financing for mortgages for "affordable housing" played a major role in creating the circumstances that led to the financial collapse of 2008. The Federal Housing Administration, part of HUD, pushed to lower down payments to dangerously low levels. As explained by economist Lawrence H. White of George Mason University, down payments were down to 3 percent in one of FHA's most popular programs, with a push in Congress underway to get them to zero. And HUD pushed giant government-supported mortgage lenders Freddie Mac and Fannie Mae to increase their purchases of mortgages going to low- and moderate-income borrowers. Behind it all was the backing of the U.S. government, "guaranteeing" these mortgages, so brokers making the loans didn't care if borrowers could actually afford them. The result was a huge expansion of lending to unqualified buyers. The critical headline today is that the circumstances and institutions that led to this crisis are all still in place today. Treasury secretary nominee Steven Mnuchin has already said that Freddie Mac and Fannie Mae should be privatized. In parallel with HUD's housing finance activities are the huge programs for public housing and rental subsidies for the poor, known as Section 8. Rental subsides, or housing vouchers, were supposedly an answer to the overt failure of public housing projects. The idea was to create a market where low-income residents could receive a voucher and choose where to live. Unfortunately, even this is highly regulated, with government dictating the requirements for where vouchers can be used. About 2 million low-income residents are receiving vouchers and about another 1.3 million receive subsidies on rent in particular buildings, all at a total cost to taxpayers of around $25 billion per year. Because the vouchers are not free of government controls and dictates, the result is still poor, blighted neighborhoods defined by government-directed housing policies. We need to purge all this government control and simply offer unregulated vouchers to qualifying low-income residents. Dr. Carson will have shown again his "gifted hands" if he can bring badly needed reform to this government monstrosity.